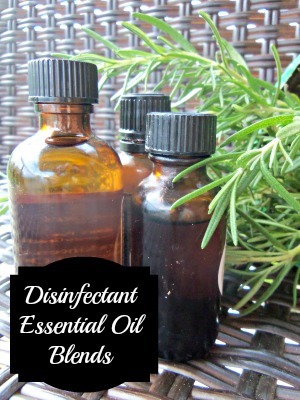 Disinfectant Essential Oil Blends can be used in a combination of home cleaning products. For a great list (that’s growing) of homemade cleaning recipes, see my Cleaning Page. 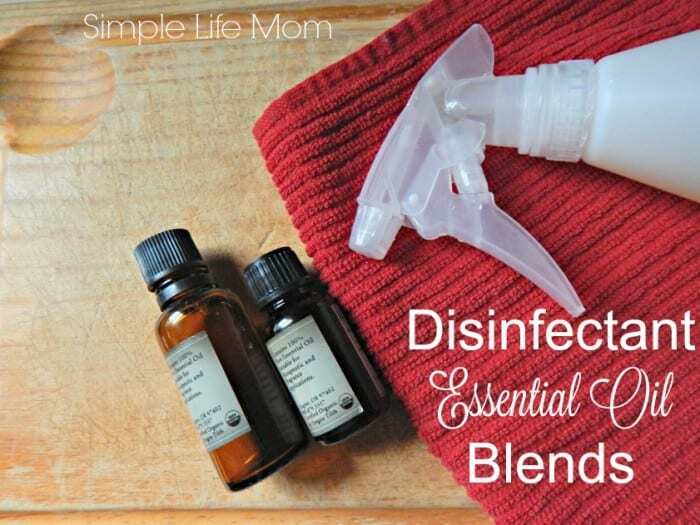 I love using essential oils in homemade cleaning products. But which ones are the best to use? Our skin is the largest organ in our bodies and can easily absorb harmful molecules sprayed into the air and chemicals that we touch. I was just at a popular chain store the other day looking at what they offered in their cleaning products section. It bothered me that a number of products labeled as “Green”, “Natural”, or “Healthy” were not. A quick look at the label showed that there were a number of chemicals that I would never use in my house! They can get away with a lot on labels these days in America. You really have to educate yourself to long elaborate or Latin names in order to even know what you are putting in or around your body. Well, some of us have completely moved away from trying to decipher those ingredients, or even buying those products. Instead, we make our own using disinfectant essential oil blends. While all of these seem to be great at killing germs, some of the above oils needed higher concentrations, or only killed certain strains of bacteria. Oils they said did not perform well: aniseed, eucalyptus, and camphor. Though you cannot discount these oils, because even if they aren’t great germ killers, they do other amazing things. Camphor, for example, is a great anti-inflammatory. Once again, eucalyptus (one of my favorite smelling oils) was least effective, along with citron. Those of the above especially effective on E. coli were tea tree and coriander. This is an excellent list! I use essential oils for cleaning up around our house, and I’m always eager to learn more about the best ones to use for each cleaning job. Thanks for sharing. Love using essential oils for cleaning. Great list and will definitely come in handy! Great reference! I’m slowly learning about essential oils. I still get confused, though, over which ones are anti-bacterial, anti-fungal and/or anti-viral. Thanks for sharing! I used homemade orange vinegar to clean up a nasty mess today – then followed it up with the peppermint/tea tree combo just to be safe! What a yummy smell! I also enjoy finding new combinations for home and health! This is an excellent resource as I’m still figuring out which oils are best for what purposes as well. I have read that eucalyptus is great at keeping insects away and that it kills dust mites and is accepted as a addition in laundry regimen for allergy sufferers ( hence the dust mites ). So Eucalyptus has cleaning purposes that were not mentioned here hope this helps. Definitely! Thanks for the addition. Great tips and nice suggestions! I often use rosemary essential oil when I’m cleaning at home. I love it scent. It’s a great to clean with home mixed cleaning solutions, most of the solutions I use work like charms 🙂 Greets! Rosemary is wonderful. I love that I can be versatile with the scents while still disinfecting. No strong chemical smells giving me headaches!! 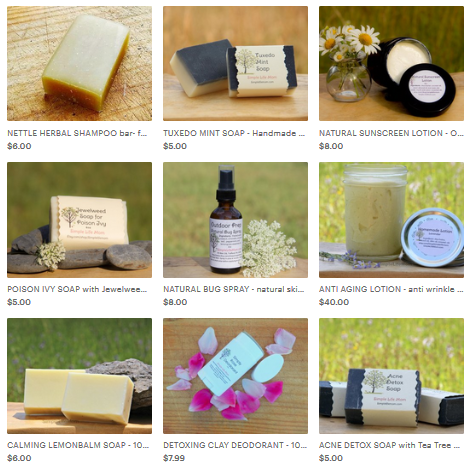 Thanks for stopping by the Homestead Hop….Love my oils as well! how do i make vinegar thicker so it takes longer to run into the water when i use it to clean the toilet bowl? i have 12% organic spirit vinegar and want to use it to make a toilet disinfectant. Would I be able to use several or all of these listed in your blends in one spray bottle? I have a compromised immune system and I’m flying in a few days and would love to be able to disinfect the surfaces around my seat. I’m concerned though of it bothering other passengers near me but so afraid of getting sick too. Which ones would you recommend for that purpose ? Yes, you can use a number of them in one spray. You will be really effective with only adding 3-5 drops each of 3 or 4 oils to a 2 oz spay bottle of water. That way it won’t be too strong for others. You can also spray into a cloth and wipe arm rests down so you are not spraying into the air. I have allergy problems and I can’t stand when people spray things around me because I don’t know if I’ll have a reaction, so it’s nice of you to think of others. how do you mix them to water when oil and water doesnt mix? You can add a few drips of alcohol, but I just shake the spray bottle really well before and then occassionally during use. It’s enough to disperse the oil throughout while using. If I am using like a “lysol” spray how much should I use for it to be effective? (mix with water or alcohol)??? You can mix it with water. Just shake well before use. Try up to 20 drops in a 2oz bottle. I m pranic healer. I need a oil to mix in water spraying or cleaning hand palms, cn any one suggest which oil is good in fregnance. I can’t seem to sign up for the newsletter only make a comment. thank you. Hi, You can sign up for my newsletter using the signup in the left column toward the top. I don’t like to combine soap with essential oils often because of the possible breakdown of the oils. And oils are not cheap 🙂 The vinegar is a good choice though. Great info. I’m trying to mix a disinfectant spray I can use in my house and car to kill germs on doorknobs, kitchen counter, etc and I find several oils in your list I want to try. 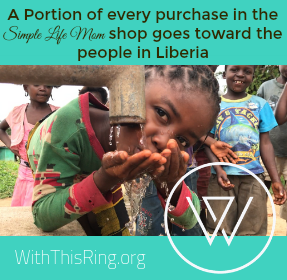 However, what percentage of oil to water do you use? Also, do you use any vinegar or alcohol in your mixtures? Any advice you can give me is greatly appreciated because I want my spray to be effective at protecting my family. Thanks. You can add about a tablespoon of alcohol to help the oils disperse in the water, otherwise you will just need to shake it up before each use. Only use a few drops of essential oil. If you have a 16 ounce sprayer bottle, you may want to use 5 drops of each essential oil you are wanting to use (depending on how many you use and what kind). Do you ad water or anything to the oils? If you’re going to put them in a spray bottle for cleaning, then use a few drops to a 16oz spray bottle and shake before use. It depends on what you’re cleaning. For example, I may include vinegar in water when making a window spray, but may just add them to water if I don’t want to use vinegar on certain surfaces for an all purpose cleaner.